If you are looking for help in finding the best lighting set up for your equipment call us to discuss. 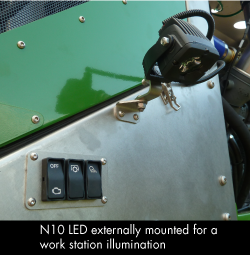 Engineers at Nordic Lights are able to model different lighting options to enable you to decide the best option for your requirements. 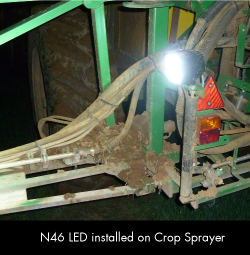 The images below show the model light patterns used to illuminate an agricultural crop sprayers boom for working at night. The light pattern illuminates the water spray.